Mum spends ages every day getting our floof off the curtains, the bed, the chairs, the carpet and her clothes. We watch her and make sure she's doing it properly. 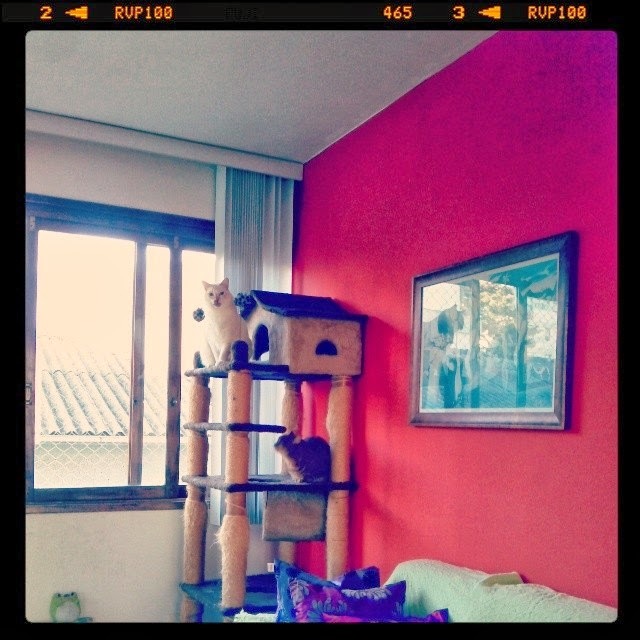 Your cat tree is a wonderful place to play! Hehehe fiquei imaginando o ataque. HSH! 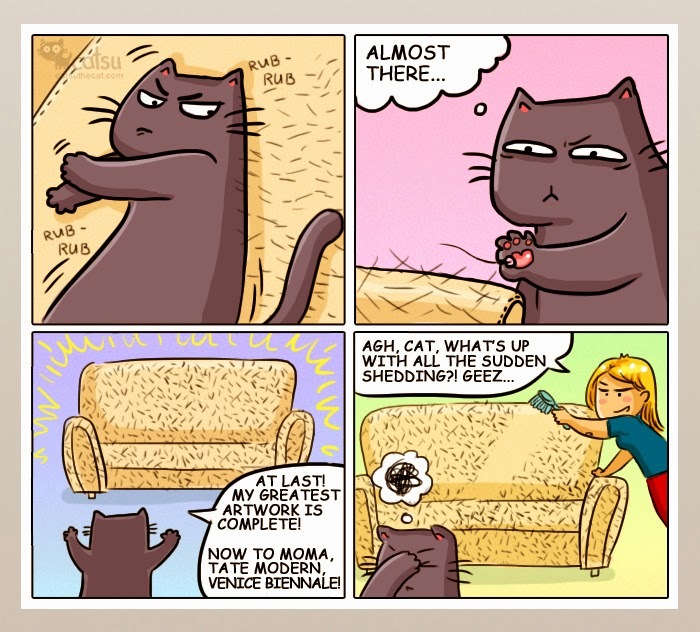 That comic reminds me of Sometimes, Cat’s Herd You blog. Hope you don’t get attacked. And yes we have a great abundance of hair!! !